The first job I had at the museum was working with a collection of more than 3,000 objects from Puerto Rico, all collected by Teodoro Vidal. The longtime collector and dedicated amateur historian passed away on January 17, 2016, at the age of 92. Vidal's collection—musical instruments, food preparation items, textiles, lace, religious objects, and carnival costumes and masks spanning the 17th century through the 20th century—is a testament to cultural traditions and the power of the object to tell stories. As an amateur historian, he had an interest in collecting the everyday and the sacred. Maps, prints, and photographs document the land and people of the island. 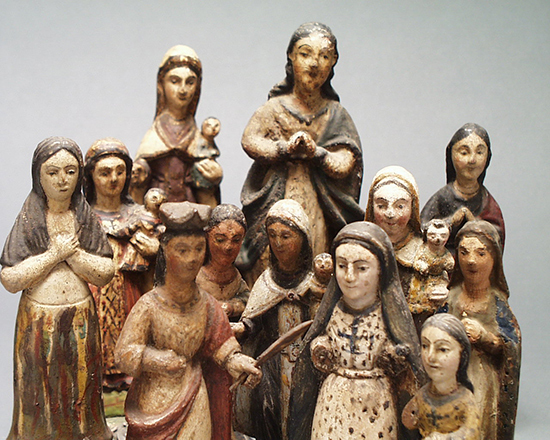 Religious figures and iconography document the wide range of religious and cultural communities of Puerto Rico. As an amateur folklorist, he collected tools and examples of the work people do every day: making fishing nets, masks, and jewelry, and working in agriculture. When I first saw the more than 600 santo figures, carved religious objects used in homes and churches, all arranged in our cabinets behind the scenes, I was impressed by how important it is to collect the history of everyday experiences. Today I think back to the first time I saw his collection of carnival masks, and I remember the reverence with which he talked about the makers and mixed-cultural tradition of carnival. And I look back at the musical instruments, intricately carved and painted tiple, güiros, and plena drums, instruments that helped shape a national identity, drawing from African and European influences, fusing and impacting music globally. A former curator and mentor to me, Marvette Pérez, who passed away in 2013, was instrumental in bringing the Vidal collection to museum. Pérez, also from Puerto Rico, and Vidal committed themselves to tell the story of Puerto Rican history. The Vidal collection has truly been an invaluable foundation for the Smithsonian's efforts to document the Latino experience. Parts of his collection can also be found at the Smithsonian American Art Museum. Vidal's collection and related research has been showcased in countless museum exhibitions around the world, educating and inspiring millions of visitors. Vidal took on the role of public historian with grace and humility. A true embodiment of the gentleman scholar, he wrote many publications on santo carvers, artists, mask makers, and cultural traditions that inform scholarship across disciplines. 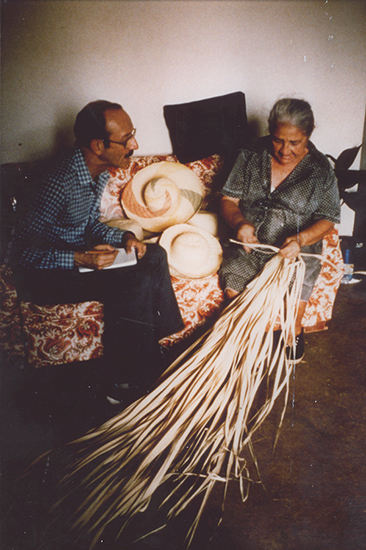 His research and collecting efforts were highlighted in the museum's 1998 exhibit A Collector's Vision of Puerto Rico; La Visión de un Coleccionista showcasing the culture and identity of the island. The lasting impact Vidal and his collection has had on research at the museum, within the Latino community, and on the nation has left a legacy that cannot be matched. L. Stephen Velasquez is a curator in the Division of Home and Community Life. Remembering Diosa Costello, "The Latin Bombshell"